The approach of Halloween always gets us in the mood for scary stories. It takes us back to when we were children, huddled around a campfire or staring mesmerized at some forbidden movie, allowing ourselves to wonder if perhaps there were such things as ghosts, demons, and zombies. But if ghost stories aren’t enough to raise goose bumps or make your blood run cold, allow the wonderful world of science to remind you that real life can be even stranger—and creepier—than fiction. 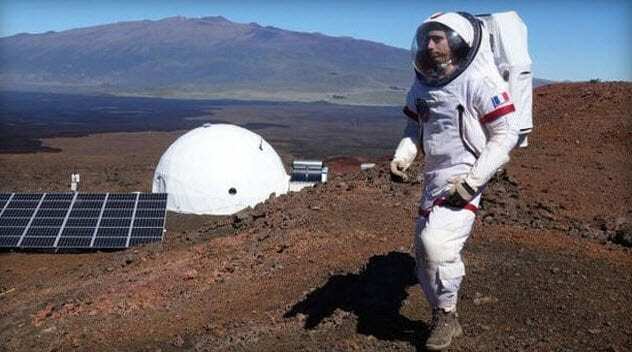 Much has been made of the need for humans to reach and even colonize Mars. President Obama recently announced that the government is working with private aerospace firms to make it a reality by the 2030s. But one study, in which lab mice were bombarded with the type of highly charged particles to which astronauts will be exposed in deep space, reached a troubling conclusion. The exposure led to brain inflammation which resulted in dementia, loss of cognitive ability, and a deficit in “fear extinction”—a process by which fearful associations are minimized by the brain over time. The lack of fear extinction would lead to a state of constant anxiety. This “space madness” was still present in the rodent test subjects six months after exposure to the particles. At this time, there is no known method of completely shielding human astronauts from these particles. 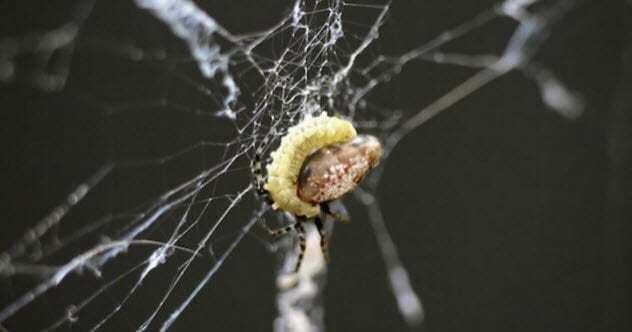 The WO virus has a very specific target—bacteria that live inside spiders and insects. When it suits their mutative purposes, bacterial viruses are known to steal bits of DNA code from the bacteria they infect. But WO was recently found to have stolen a gene from a place that few viruses of its type ever do—from its host, the black widow spider. Specifically, the virus steals the gene that codes the spider’s famously robust venom. It is thought that this assists WO in punching through the cell walls of its bacterial victims. The sneaky virus was also found to have co-opted other genes that help it to evade its host’s immune system. In sum, we have a rapidly mutating, immune system–resistant virus with the recipe for black widow venom and the fact that it isn’t targeting humans yet does not make us feel much better. For years, seismologists have reported that the famous San Andreas Fault is long overdue for a major quake of 8 or above on the Richter scale. They may have just found an unsettling explanation for why the fault has held out for so long. 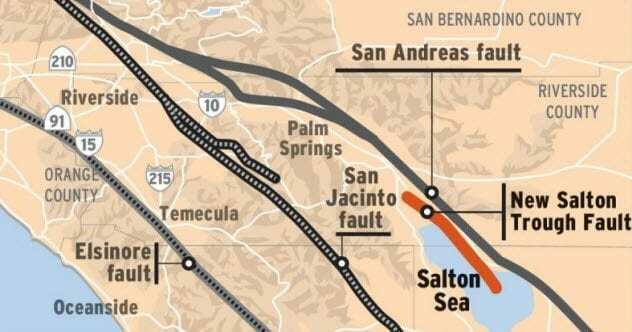 A second fault running parallel to the San Andreas Fault may be holding the entire region together. The Salton Trough Fault is 56 kilometers (35 mi) long. Its discovery is prompting a complete reassessment of earthquake risk for the area, which includes all of Los Angeles. 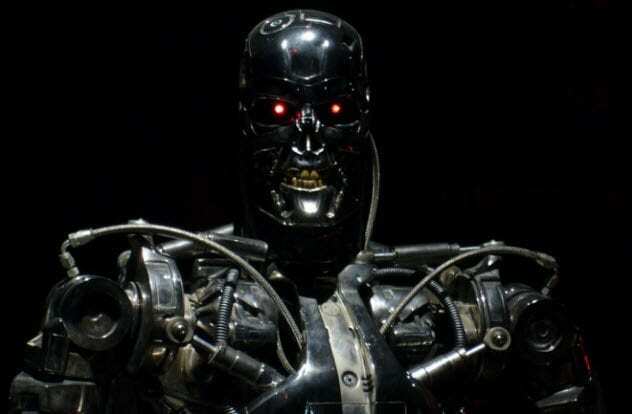 Although there may be beneficial applications for artificial intelligence (AI) in the future, a group of researchers at Carnegie Mellon University decided to demonstrate the one application we were all hoping would never come to fruition: They taught an advanced neural network to kill indiscriminately. Of course, they did this in a virtual world designed for just that purpose—the seminal 1993 first-person shooter Doom. The AI navigates this world by examining the screen like a human player. It also has some knowledge of the game engine’s workings. Even so, it took little time to utterly dominate all human opponents. The AI learned by being “rewarded” for kills and “demerited” for taking damage and dying—as well as for shooting. This was built in because the machine initially decided that the optimal strategy was to fire constantly, mowing down anything that came into its sight. The current hardware can only play video games—for now. 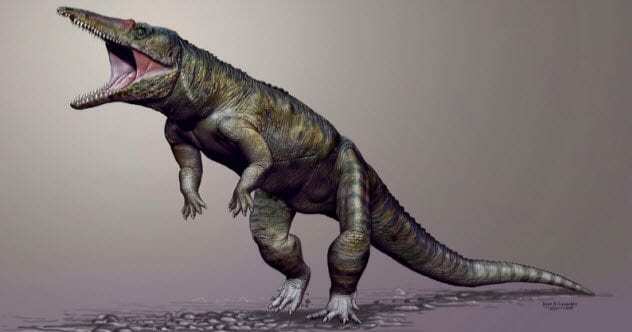 Paleontologists at North Carolina State University recently discovered a previously unknown species that was older than the dinosaurs and an early relative of crocodiles. Although it’s been extinct for over 230 million years, the fact that it ever roamed the Earth at all may be enough to give you nightmares. It is Carnufex carolinensis (“Carolina butcher”), a fitting title for a crocodile that was 3 meters (9 ft) long and walked on two legs like a human. This animal was not aquatic but roamed the countryside, presumably making short work of whatever came across its path. With teeth like blades and greater agility than its modern cousins, Carnufex was likely one of the top apex predators right before the emergence of dinosaurs. Professor Jonathan Allen was having trouble getting a satisfactory diagnosis for a rough, circular patch of skin on the inside of his mouth. More troubling, the patch appeared to regularly migrate to different areas. While in the middle of giving an exam, the professor realized that the patch had approached the front of his mouth. 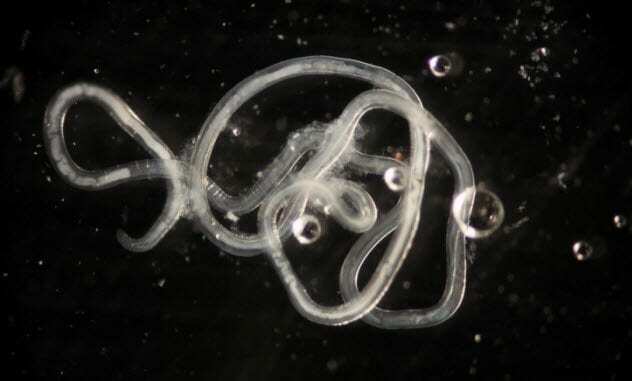 He was subsequently able to identify a tiny worm underneath the surface of the skin. Juno is a NASA spacecraft currently tasked with collecting 20 months worth of scientific data on Jupiter, the mysterious gas giant. On its closest flyby, Juno used a University of Iowa recording instrument to “listen” to the slow radio emissions from the planet’s auroras. University engineers then decoded the data into sound files. The result is nothing less than a horror movie sound track from the depths of space. The swooping, screeching sounds, which almost begin to resemble strained human voices, would perfectly lead up to the scariest scene in the scariest movie you didn’t want to see. There is a specific scientific purpose here. The emissions, the strongest of their kind in the solar system, are generated by electrons of unknown origin, and scientists hope to find out where they come from. At some time, you’ve probably felt for no rational reason that you were being watched. Even being fully aware that you were perfectly alone and that the sensation had to be all in your head probably didn’t make it any less unnerving. This probably won’t, either: Scientists may have discovered why this happens and how it can be replicated. In 12 patients reporting such experiences, areas of the brain corresponding to self-perception were damaged, leading researchers to hypothesize that the body’s own positional signals were being misinterpreted. 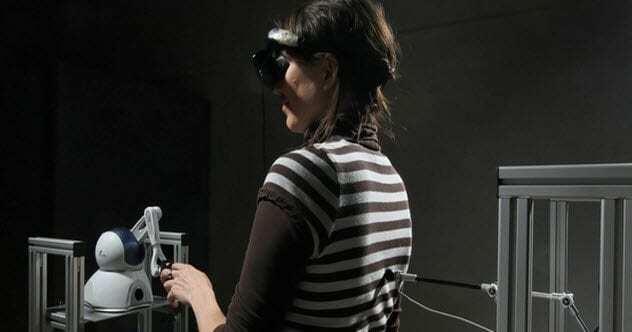 As part of an experiment, a robot mimicked a test subject’s finger movements by drawing those movements on the subject’s back. Participants didn’t report anything amiss until the robot’s movements fell out of sync with their own. Then the patients universally reported the strong sensation of somebody standing behind them, with many being so spooked that they had to ask to stop the experiment. Many of these patients reported a feeling of drifting backward toward the unseen presence. Researchers recently uncovered a special aspect of the relationship between a parasitic variety of wasp and a certain species of spider. It’s long been known that the wasp uses spiders to build extra-strong nests for its cocoons, but it’s how the wasps are able to do this that is unusual—by turning the spiders into mind-controlled zombies. 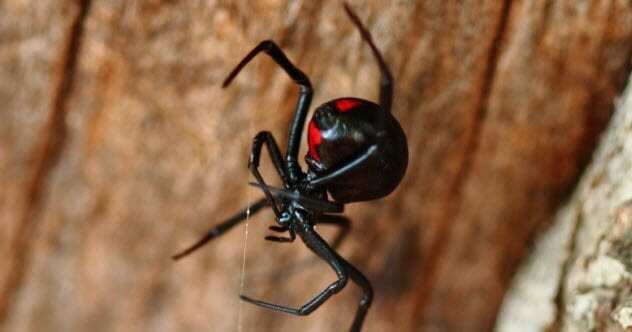 Specifically, a female wasp lays an egg on the belly of a spider. Once hatched, the larva attaches itself to the spider’s nervous system, subsisting on its blood and releasing a chemical that causes the spider to become a mindless construction worker for an ultra-durable wasp nest. The modified strands reflect ultraviolet light instead of absorbing it like regular webbing, negating its effectiveness at trapping prey. Once finished, the larva thanks its zombie slave by eating it and then happily builds its cocoon. Hurricane Matthew arrived near the end of 2016, the first Category 5 storm since Felix in 2007. Matthew caused catastrophic damage and severe loss of life numbering in the hundreds. The impoverished island nation of Haiti bore the brunt, with casualty estimates ranging from around 500 to over 1,300 people. As Matthew made landfall in Haiti on October 4, the infrared image above was rendered by a NASA weather satellite. 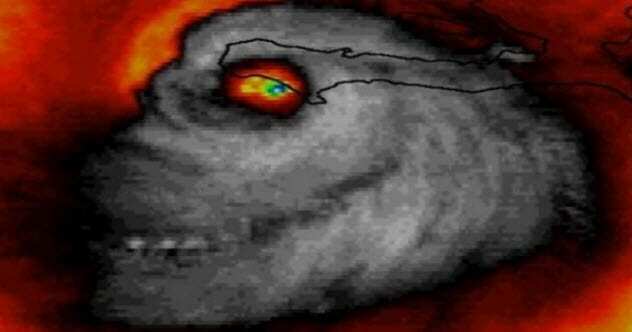 The storm’s shape bears an obvious resemblance to that of a grinning skull, seen in profile, with the figurative “eye” of the skull being the literal eye of the storm. Coincidence? Certainly. Spooky as hell? We will let you be the judge.